Chantix (Champix) is an anti-smoking medicine that is created to modify the body’s behavior when it comes to smoking. Generally speaking, Chantix works in the brain area, more particularly on the receptors cells. 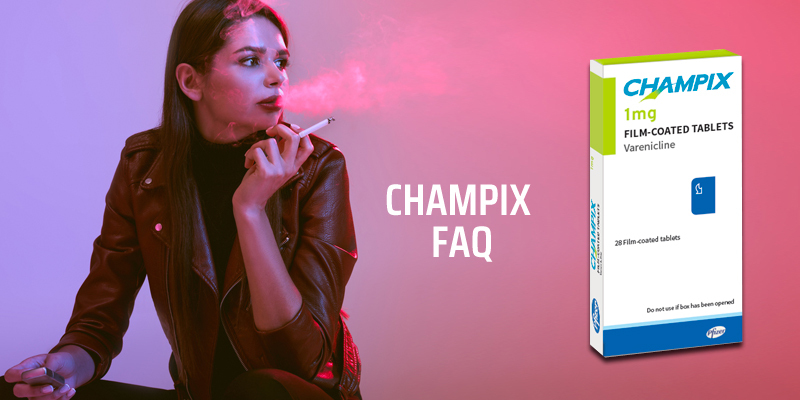 The main purpose of Chantix is to substitute the nicotine present in the brain. This way, the body won’t crave for nicotine any longer. Chantix is a prescription medicine. However, a lot of doctors have been recommending it since 2006. To get a prescription in order to use the drug, all you have to do is to talk to your doctor about it. Chantix requires prescription before you can take it because certain patients with existing medical and physical concerns are regulated from taking it. Those who suffer from kidney problems can’t use Chantix. It can’t be administered to pregnant and breastfeeding women as well. Likewise, it can’t be used by teens and children aged 18 years old and below. Is there anything that I have to avoid while taking Chantix? Generally speaking, if your doctor has approved your intake of Chantix, you are not restricted to eat or drink anything. However, for people with medical concerns that were given clearance by their doctors to take the medicine, they should specifically follow their doctor’s orders when it comes to the dosage, the proper intake, and the schedule of treatment. Chantix may react negatively with other drugs so you have to tell your doctor about taking another medication or supplements while on Chantix. Whom can I ask more about the drug? Aside from your doctor, you can ask a pharmacist about Chantix. Pharmacists are the next best authorities when it comes to these medicines. They can give you an overview of what the drug really is and its possible effects on you.